The very next sunday, I was looking all bright and clear. My friends sensed a beam of sunshine across my face.After the Sunday service was over, they came to me and asked me the reason behind my happiness.I told them that even I might have a girlfriend very soon.Joshua was a very good friend of mine and he asked me whether I have seen her. That is when I realised that I haven't even seen Beulah. The only means of communication apart from the internet were, telegram, telephone, postal mail and Dove. The chances of the dove being caught by Salman was very high and the chances of the telegram and postal mail reaching her dad was also very high. So the only means was to call her up in her telephone. "But What if her dad picks the call?"... Well I am good in mimicing like a girl (Not like Rakhi Sawant anyways).. But I did not have her number. So I decided that when I chat with her, I would get her phone number. The next day, I woke up very early and dressed up for the occasion and yes I reached my position at 9 am. I was waiting and waiting and 10 am seemed like an eternal wait. Finally I saw her riding her yellow moped. I was eagerly waiting for her call that evening. “Should I ask her out?”… “Will she come out with me?”… I knew I was in love. But “Should I tell it to her?”… Questions kept on circulating my head… And then she called me up… We talked and talked…Just when I was about to ask her out; she asked, “Why don’t we meet up?”… I was very happy. Before I could control my happiness, I asked, “What about a movie this Sunday after Church?”… She readily agreed. I was the happiest human being on Earth. I waited for Sunday… What happened next? Did I propose her on our date? I just loved the quote ! Thats Robert Browning !!! Waiting for the sequel. I think he took her for that date. waiting 4 the concluding part...hope its an happy ending..
Its becomming more interesting and i m w8ing for the next part. ohhh why isnt Sunday coming? Eagerly awaiting what he managed ! Ah haaa!! Monster! You should have told me AFTER you completed part 3. LOL! Now I'm super curious. Finish it finish it u got me all intersted now... u bum cudnt u have put it on orkut after u wrote all 3 parts! unkle... i tell u dont propose, daddy tells me thats the best way to get these girls. 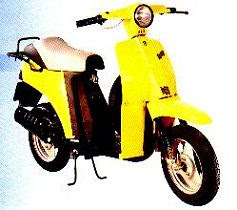 and this one sounds like a fast one, what with a yellow moped and all, which is pretty cool btw. dad tells me that he didnt propose to mom and that got mom to propose to him. u shud try the same. Yeah I know. Isnt it understood already? Anyway...will love to know your take on that one. Going to the next one to read now! I am excited to know everything!!!! oh man, i'm too curious now! lemme read the next part! !